This year marks the 55th Anniversary of the classic Disney movie many of us grew up watching, Sleeping Beauty. It was a fairy tale about a princess who falls under a spell of eternal sleep caused by the favorite and the most feared character in Disney’s gallery of infamy, Maleficent. 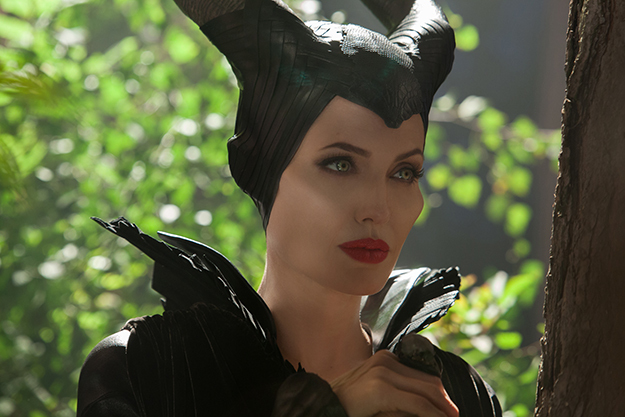 Five decades later, we welcome the story of this iconic villain, portrayed by actress Angelina Jolie, in Maleficent. This film explores the untold story of this character and the elements of her betrayal. Driven by revenge and a fierce desire to protect her land, she places an irrevocable curse on the king’s newborn, Aurora. The child grows in between a forest kingdom she has grown to love and the kingdom that holds her legacy. Maleficent realizes that Aurora may hold the key to peace in the land and is forced to take drastic actions that will change both worlds forever. What the viewer will see is the untold story of Maleficent. We get to see her as a young child and will understand what it is that drove her to the dark side. If you have seen the original animated film of Sleeping Beauty or even if you haven’t, Maleficent promises to be a great movie that everyone will enjoy. It gives you ‘the other side of the story’ and although you think you know the end of this movie, you really have no idea on what to expect! Disney’s Maleficent opens in theaters in 3D, RealD 3D, and IMAX 3D May 30. Posted on May 31, 2014, in Movie Reviews and tagged acting, angelinajolie, article, cinematography, costume, critic, design, director, disney, effects, ellefanning, entertainment, entertainmentaffair, Film, Hollywood, makeup, maleficent, Movie, oscar, princess, production, review, robertstromberg, samriley, sharltocopley, sleepingbeauty, story, villain, visual, Writer. Bookmark the permalink. Leave a comment.